Constellation Brands Inc. STZ -1.84% on Friday asked a federal judge to include the company in legal proceedings on the Justice Department’s challenge to the proposed merger between beer makers Anheuser-Busch InBev NV ABI.BT -0.22% and Mexico’s Grupo Modelo GMODELO.MX +0.05% SAB. Constellation’s legal request included a written declaration from its chief executive that offered an early rebuttal to parts of the Justice Department’s case. The company, which wasn’t sued by the department, said it should be allowed to intervene in the case to protect its significant economic and legal interests in the outcome. 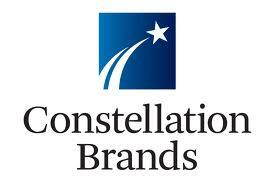 Thanks to a side deal in the beer merger, Constellation stands to take full control of the U.S. distribution of Corona and other Modelo beers if AB InBev and Modelo are able to complete their transaction. Constellation’s shares were battered last month when the Justice Department challenged the deal.